Rise of The Tomb Raider is coming next month as a timed exclusive for the Xbox One and Xbox 360 consoles, before it arrives for the PC and the PS4 sometime next yearand it’s going to be bigger than the most recent game. In a recent interview with Pixel Vulture, Crystal Dynamics lead Designer Mike Brinker revealed how long players would have to spend on the game to be able to simply finish itand how long it would take for someone to completely explore and run through everything there is to do in the game. However, for players who only wish to initially do a soft run through of the game, less than a day of playing the game is more than enough. Talking about the size of the game’s world compared to the most recent 2013 Tomb Raider title, Brinker revealed that it will be massiveat least three times bigger than before. Which means more possibilities, more adventure, more puzzles, and more tombs to explore. 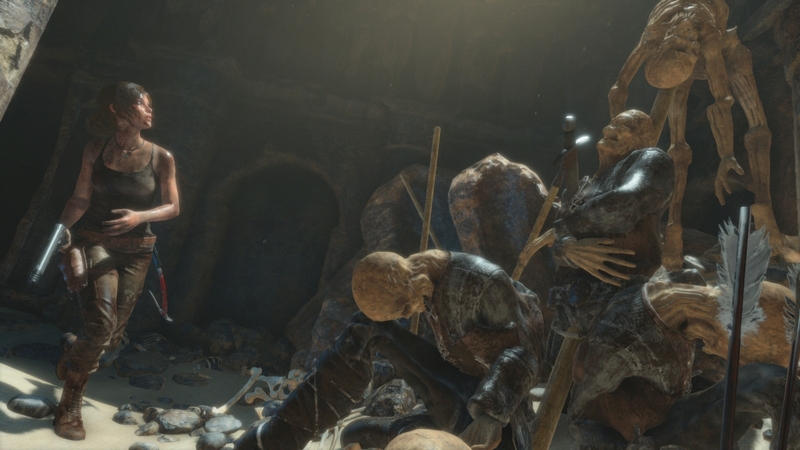 Rise of The Tomb Raider will come as a timed exclusive for the Xbox One and Xbox 360 consoles, and will arrive for Windows 10 PCs and the PS4 on 2016.